There is much myth and misinformation on the VGs especially the standard. It is widely said especially by people selling them that the VG Standard was a limited run in 1997 for an exhibition or similar. 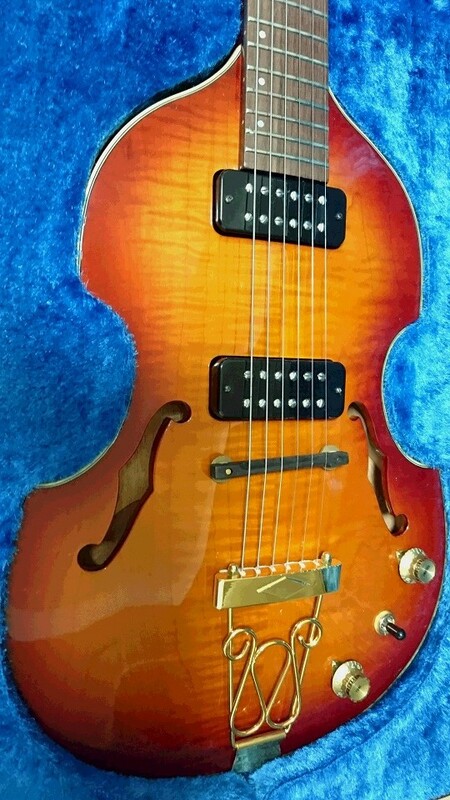 In fact the archives show that this guitar was produced from May 1993 for about 10 years and it appears in at least four Japanese catalogues of that period. The custom was a much shorter production run from 1993 to 1995 and hence are quite rare in the west as both were only sold in the domestic Market. 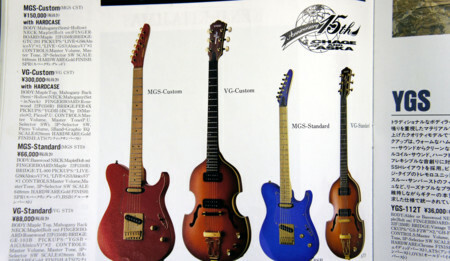 These guitars are officially known as Askas or sometimes Chage Askas after the very popular Japanese artists of the 90s. Although Chage had his own model the MGS. 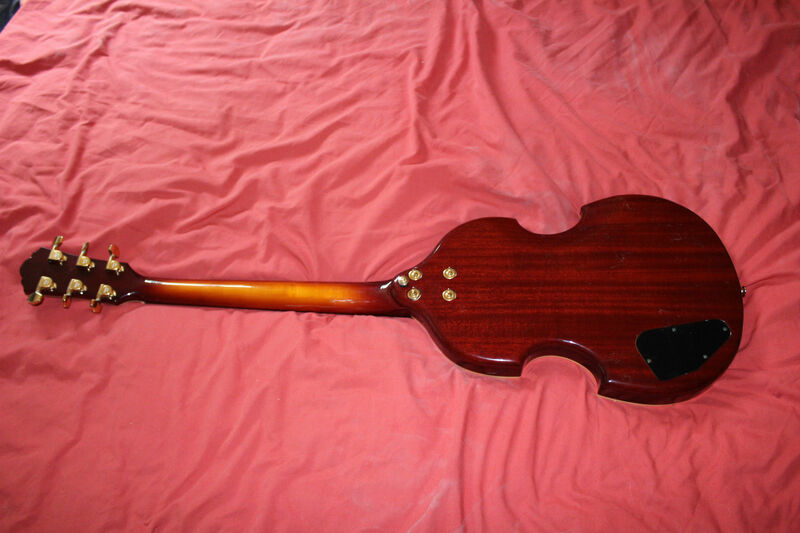 They were only made in one colour known as Antique Sunburst. 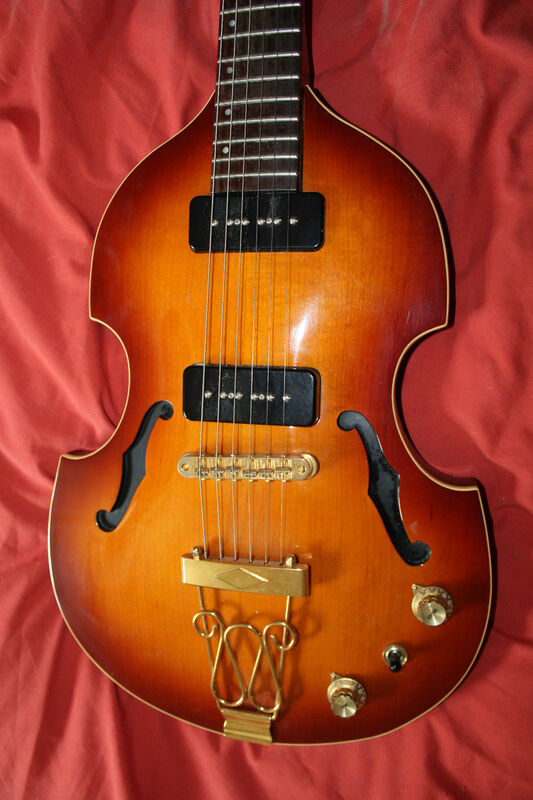 The standard is a solid body archtop with black painted fake F holes, the custom is a genuine semi hollow archtop with genuine f holes. On the left is the custom with the genuine f holes on the right the standard with the fakes note also the slightly different bridge arrangement, the custom bridge looks cheaper.